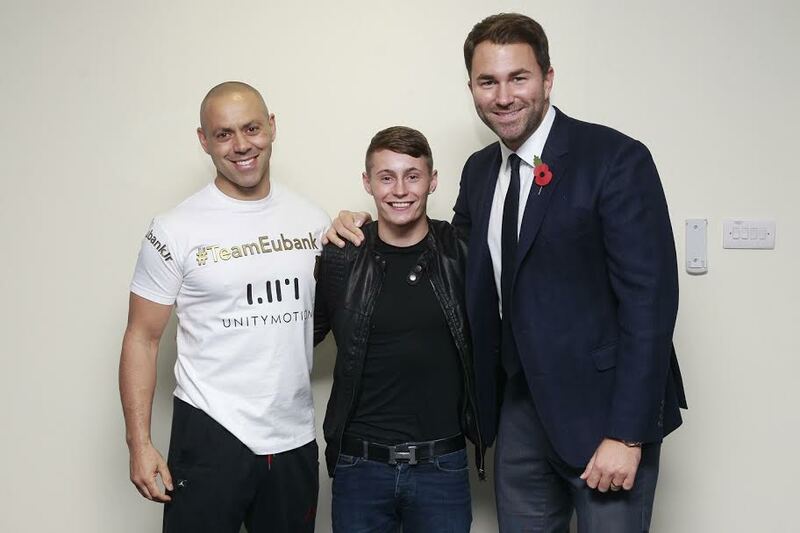 Ryan Burnett has vowed to make Belfast proud as he puts his IBF World Bantamweight crown on the line against WBA Super champion Zhanat Zhakiyanov at the SSE Arena in Belfast on October 28, live on Sky Sports and HBO. Burnett makes history by fighting in the first unification clash to be held in Northern Ireland, and the unbeaten starlet is looking to build on a magic night in June where he ripped the IBF strap from Lee Haskins with a dominant performance over the Bristolian. That was the 25 year old’s first fight in his hometown for three years and he received a rapturous welcome to the ring – and when his hand was raised his win was greeted with a roar of approval from the fans who welcomed a new hero for the famous fighting city. Burnett has since been honoured with a mural in the city and now the unbeaten champion wants to pay back the great support he’s received with another big performance next weekend and make his city proud. “My Mum called me up and told me that they were putting a mural up and I couldn’t believe it,” said Burnett. “It’s such an honour. The first time I drove past it I thought, I grew up here as a kid and now my face is on a wall, it’s made me so proud and it’s given me an extra push in training. “It was touch and go in my first fight if it was going to take off because I had been away from Belfast for so long, but it did. This time the profile has risen so much and this is a massive fight, so this is my moment to really become a name here. I’m living in the moment and enjoying it, I’m not taking it too seriously and putting too much pressure on my shoulders, I’m just lapping it all up. “When I was growing up there was a lot of trouble and violence. It was installed into me as a kid to be a fighter, to stand up for myself and fight back, my dad would tell me to keep going even when I was just four or five. Burnett’s clash with Zhakiyanov tops a huge night of boxing in Belfast as Paul Hyland Jnr defends his IBF European Lightweight title against Stephen Ormond and James Tennyson puts his WBA International Super-Featherweight title against Darren Traynor.